According to a new study from Consumer Intelligence Research Partners, which reportedly looked at activity patterns among iPad owners earlier this month, found that the majority of iPad owners surf the internet and entertainment rather than for business use or educational use. CIRP found that among the participants, 40% of iPad users use their iPad for surfing the internet, entertainment uses and for playing games. 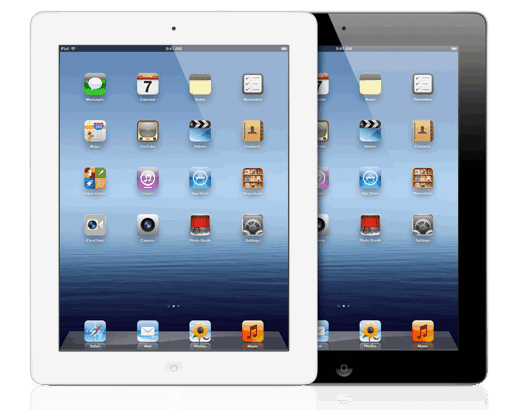 As far as business use goes, 14% of iPad users use their iPad for business purposes. More users of the newest iPad are using them for business purpose with 16% and also the users who have bought the iPad’s with more storage were more likely to use them for business. While only 4% of iPad owners said they use their iPad primarily for apps and less than 4% of users said they use their iPad primarily for shopping. The study also found that iPad owners with the 3G and 4G variants showed very similar usage behavior to the owners with the Wifi only iPad.